I have recently been interested in cosmology which led me to seek out some great minds in theoretical physics. I will be posting about them soon. I noticed a certain reverence for Einstein which is well deserved but Einstein himself made mistakes. We tend to learn from discourse and mistakes, not from isolation as explained in this lecture. Einstein was a ping pong player; Newton was a golfer. I recently received a personal rebuff in one of my blogs:”Ed Park, I me, mine. 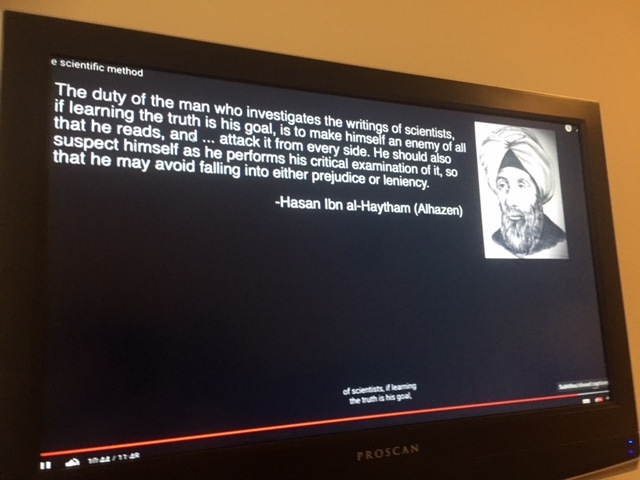 Where is the peer review?” I would like to confess that I am not an expert scientific research and only a yeoman blogger and lecturer. To me, peer review is a valuable took but not an accelerant to paradigm shifts because like truly original endeavors, like Ravel’s Bolero, Van Gogh’s painting, or Dylan’s unplugged music, it is often reviled when first introduced. However, don’t consider the source but rather consider the logic instead. My unusual gift is my freedom to abandon my personal beliefs in search of a more perfect union of ideas. -your genetic savings account becomes depleted and damaged over a lifetime. See this 115yo lady with only two stem cell lies left. -yep, it turns out that even with refurbished parts, mileage matters. Sure, there are notable exceptions like my patient, Doug. I still maintain that the other markers except epigenetics tend to deteriorate because of telomere erosion in stem cells but there is no denial of the predictive value of mileage in all but the progeric kids affected with telomeropathies. 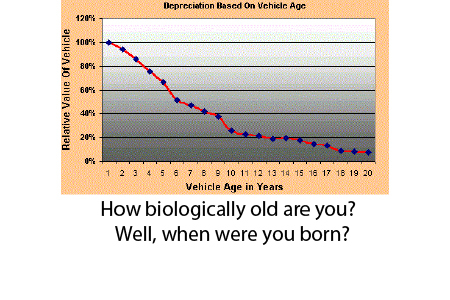 Are you disappointed to learn that I believe the best measurement of biological age is chronological age? You need not feel that way. The reason a Horvath clock has high correlation with chronological age is because they are measuring the survival of a lineage of cells. Dr. Horvath showed that progeria-affected kids who have undeniable biological aging have young epigenetic and chronological ages. He disregards this finding maintaining causation from correlation. I respectfully disagree. I believe this “glitch” in the data implies that telomerpathies that underlie those conditions are still the most robust explanation for aging globally albeit not a terribly useful predictor of health and longevity as they are currently being used. In my practice, we can measure all of the ten biomarkers of aging and that was the reason I was contacted by a gentleman in Las Vegas needing them for his GDF11 therapy baseline. That said, I truly believe that rather than treating a biomarker, we should ask ourselves daily- “Am I healthy? Do I have space to create and enjoy? Am I off medications? Am I hopeful?” If the answer is yes, despite any measure of aging, you are still young enough. If you want to learn why telomeres are still one of the most useful markers of aging in both prematurely and normally aging people, watch this video. I am not saying I was wrong…just that my thinking is always allowed to evolve because I don’t lose gravitas like some august tenured Princeton professor. I’m no Einstein but what I do share with him is my ability to find new discoveries when I realize my models are incomplete. Maximized tissue cell life to minimize stem(with minimized copy deterioration) cell duplication from all sources(stress, chem, radiation, sub par rest, atomic/molecular(ultimately the “smallest” nuclear structural construct entity configuration per tissue type identity) hyper or hypo inaccuracies-diet consumption, etc. maximizing stem cell telomerase telomere eternal maintenance and minimizing telophase mutational stem cell dysfunction. Seems to cover the gist of it. I believe that 45 minutes of meditation does more than the telomerase. Also having a strict diet and some form of fasting. But that is free so it isn’t brought up by many profiteers. What say you professor?! As someone with a telomerase mutation who is about to die at age 13 how much mediation is helping. There is more to science than just what we choose to believe.The Nobel Prize winner and I both wrote about meditation as a telomerase activator. I know people that sell meditation, diets, and fasting. Not sure there is much profit but your comment reflects some dichotomous thinking that may not best serve you.